Sign the petition to tell President Trump to end the threats towards North Korea. President Trump’s constant childish comments towards North Korea are putting millions of people in danger. Threatening North Korea with “fire and fury” is making diplomatic relations with the country even more strained then they have been in the past. In August, President Trump threatened North Korea with “fire and fury like the world has never seen.” Following this threat, North Korea revealed plans to launch missiles into the sea surrounding the island of Guam, where U.S. Andersen Air Force Base and B-1 bombers are held. War, especially a nuclear war, with North Korea is a very real possibility with this continued dialogue. We need diplomacy – not threats – in this situation. The possibility of nuclear war puts the entire world at risk. We need a peaceful solution to the current crisis with North Korea. 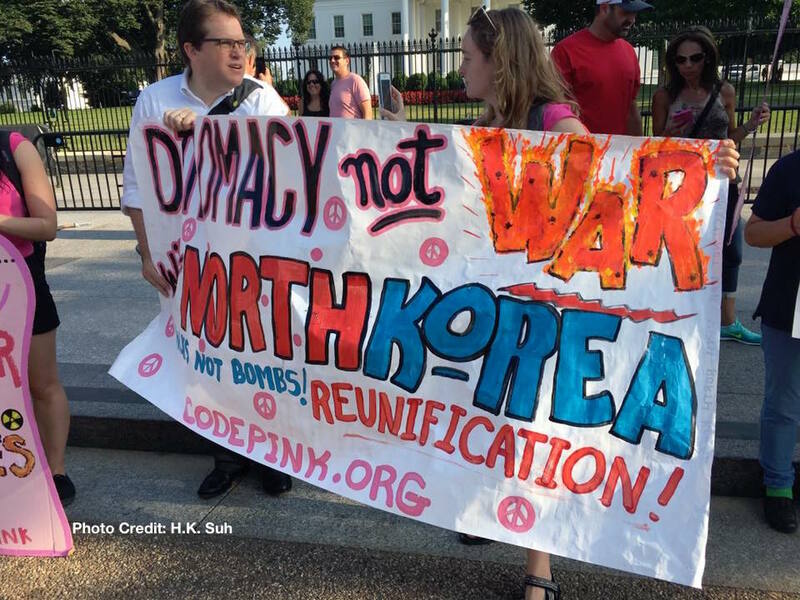 Help NationofChange call on the President to end the threats towards North Korea and put diplomacy and peace first. We do NOT need or want war. Period! War is never the answer.